Sharjah’s award-winning integrated environmental and waste management company, Bee’ah, has been awarded a five-year waste management and recycling contract for Burj Khalifa in neighbouring Dubai, the tallest tower in the world. The bid award followed a highly competitive tendering process to create a sustainable waste management platform for the Dubai landmark in advance of the upcoming World Expo 2020. 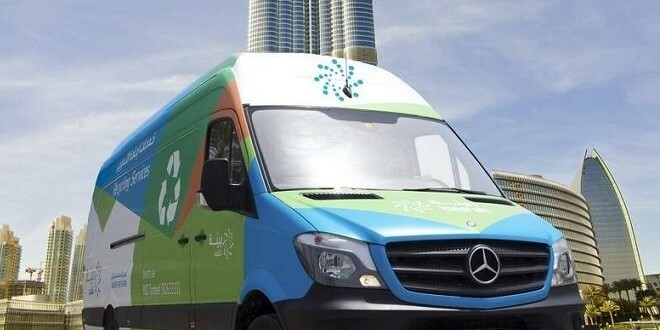 Bee’ah will introduce recycling logistics, create sustainability awareness amongst the tenants and residents, and provide integrated waste management services to the Burj Khalifa, which is located at the centre of Downtown Dubai. The company has recently won new contracts with TECOM (Dubai Media City, Knowledge Village, TECOM, Dubai Academic City, Dubai Internet City and other selected areas and entities in Dubai. Bee’ah now has more than 65 waste management contracts in the Dubai emirate. With over 160 stories, 900 residences, 37 office floors and 12,000 people occupying its floors, Burj Khalifa will require one of the sophisticated logistical systems for waste management and recycling in the world. Bee’ah will develop a waste management policy developed specifically for Burj Khalifa to include community awareness campaigns encouraging pro-environmental behaviour among tenants. Bee’ah is leading the effort to divert 100 percent of Sharjah’s waste destined for landfill and last year diverted 67 percent of landfill-type waste to recycling, energy production and other resources. Construction recently commenced on a new advanced thermal energy-from-waste facility in Sharjah, which is expected to be one of the largest waste-to-energy plants in the world. Earlier this year, Bee’ah announced the construction of its new headquarters building, designed by Prtizker prize-winning architect Zaha Hadid.